All aboard the domino train! 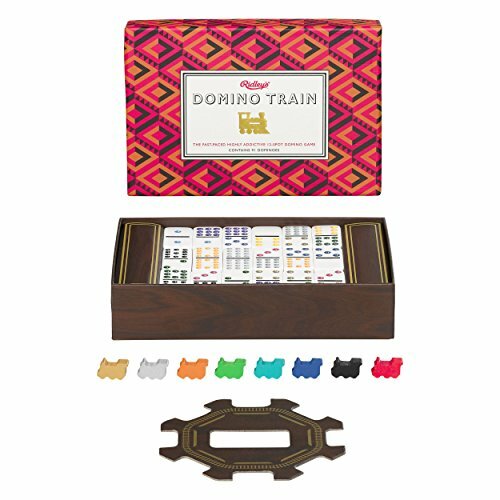 the 12-spot domino game that is part luck and part strategy as you compete to become the first player to lay down all of your dominoes onto either the communal Super train or onto your own personal domino train. All aboard the domino train! Ridley's games room - a collection of classic games in vivid colors that 'dance upon the eye' with a hypnotic effect. So roll the dice and shuffle the decks - the games are about to commence! If you have any questions about this product by Ridley's, contact us by completing and submitting the form below. If you are looking for a specif part number, please include it with your message.